Supply of Building, Landscaping and Paving Materials Nationwide to trade and general public. We are a third generation family run business based in West Yorkshire. We specialise in all kinds of natural stone products from walling stone to window sets, to carved fireplaces and natural stone flooring. 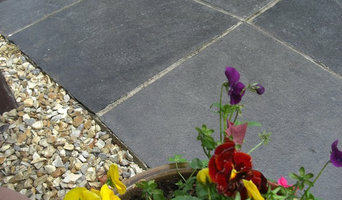 Let Glyn Evans Block Paving Specialist make your home something to be proud of. 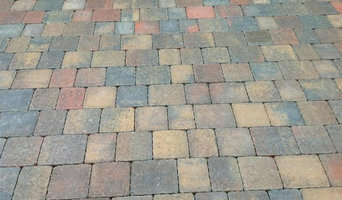 We will use block paving an flags in a variety of innovative ways, while always remembering that quality of workmanship and customer satisfaction are the most important things. Even the pattern can be changed to suit the image you are looking for. You could try using a contemporary herringbone pattern or a more traditional random-stretcher bond. As well as pattern and colour, circles and contrasting curbs can be added to put personality into any scheme, whether it is your drive, patio or path. Whatever you want out of your home improvement, Glyn Evans Block Paving Specialist will create an exclusive exterior to your home. 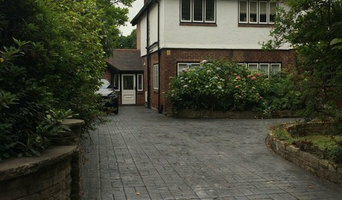 Here at Complete Driveway Designs, we’re the North West’s leading pattern imprinted concrete driveway specialists. Having been trading for close to fifteen years you can be sure that only the highest quality installation methods are used. Not only do we only employ the leading pattern imprinted concrete experts, we also only carry out insurance backed work. Due to our experience in the industry we also offer lots of other surfacing products suitable for driveways and patios along with a number of services such as decking, walls and fencing. We provide a range of special features which can be seen in our photo galleries. We can design, install and maintain all aspects of your home’s exterior, and have over a decade of experience in the industry. Browse the site to find out more, and don’t hesitate to get in touch. To talk to the leading pattern imprinted concrete experts, call 01706 827 180 today, we’d love to hear from you. Our stunning range of tiles for floors and walls includes porcelain, limestone, marble and travertine. We give you a huge choice of proven quality tiling products and accessories in the UK, available to buy from our retail partners. Marshalls can assist you in finding the right tiles for your project - call or contact us us for help. 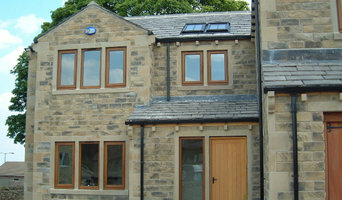 Natural stone for architects, contractors and developers, Yorkshire Stone Craft Ltd specialise in the design, creation and supply of architectural and landscaping products and features in natural stone. Natural stone professional installers of bespoke walling, paving, driveways. Owner operator of Crosland Hill quarry. State of the art manufacturer. Britain's leading supplier of natural hard Yorkstone. We are Red Jelly UK, we source innovative productions for interior fit outs, architectural restorations and new build schemes across the UK. The concept of Red Jelly UK started in 2013 where it was noticeable that in the UK there was a shortage of facilitators within the construction industry. We have an accumulative knowledge of around 20 years mainly within the natural and precast stone industry. FPL Contractors are a family run business operating in Warrington and across North Cheshire. We provide a range of landscaping, driveway, and building services to clients based in Warrington and the surrounding Cheshire area. We specialise in all kinds of driveways in Wigan, and deliver exceptional surfacing solutions for both commercial and domestic clients. Our comprehensive range of services includes driveways, pathways, car parks, road repairs and pavement lowering, so you can be certain that our committed team are able to meet your exact requirements. Our fully qualified, highly trained paving team work closely with local authorities and major contractors, so you can be sure that you will receive superior results at affordable prices. We specialise in all kinds of driveways in Preston, and supply outstanding surfacing solutions for both commercial and domestic customers. Our comprehensive range of services includes driveways, pathways, car parks, road repairs and pavement lowering, so you can guarantee that our dedicated team will meet your specific requirements. 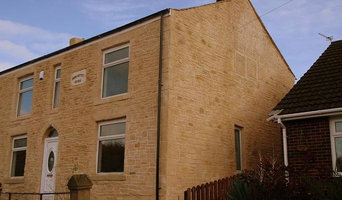 A New Mills, Derbyshire, UK stonemason can add kerb appeal to your home and is usually hired for home projects such as driveways, pathways, pool coping and home facades, but can also build retaining walls and fit stone cladding. In some instances, their work can extend to features inside the home, from fireplace surrounds and mantels to staircases. Find a New Mills, Derbyshire, UK stone, paver and concrete professional on Houzz. Scroll through this page to find a stonemason, paver or concreter in your area. Just enter your suburb in the top field to narrow your search. You can browse their latest projects, read reviews and see how other homeowners rate their work, and message them directly.